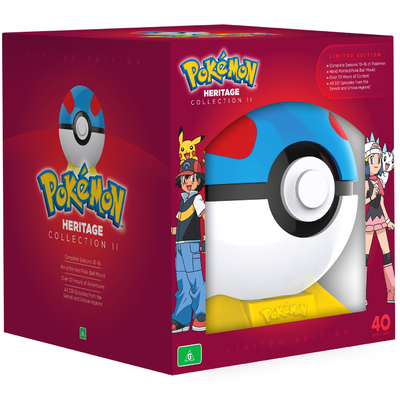 Description POKÉMON HERITAGE COLLECTION II The New Ultimate Collection for the Ultimate Fan! 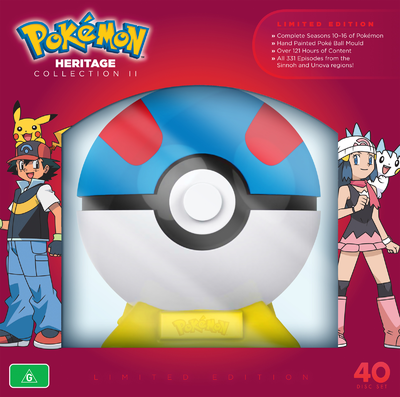 Pokémon: The Heritage Collection II animated children's TV series on DVD (40 discs). 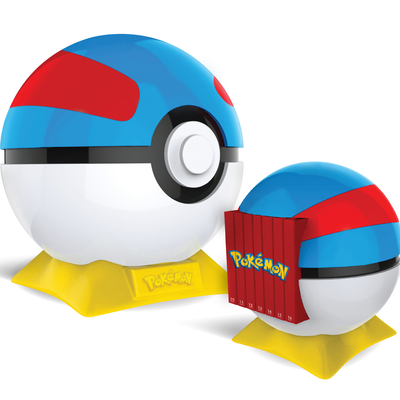 Following in the footsteps of the hugely successful and limited edition Pokémon Heritage Collection I in November 2014, this second execution is housed within Pokémon’s iconic blue and red Great Ball and contains the complete Black & White and Diamond & Pearl series – that’s over 120 hours of content across 40 discs – a must have item for a Pokécollector!